Bod Gwynedd was built at the turn of the 19th century and is thought to be one of the oldest buildings in this part of the village as maps of this part of the village show no other building in close proximity until 1895 when a major mapping revision was undertaken. The building dates to before the Victorian tourist influx and was originally a farm house with land and livestock to the rear. The building is built almost entirely of slate which would have been sourced locally including from the now defunct Hafod Las Quarry which can be found hidden in the tree covered hills at the rear of the property near Llyn Elsi. The walls are approximately 2 foot (60cm) thick with the latest (A rated) double glazed windows to keep the weather out and the heat in. In coming years we hope to improve on our Green Credentials by adding solar water heating (a significant part of any B&B) and solar panels. We know Bod Gwynedd has been a B&B for at least 118 years as one of our first guests showed us photos of his family members sitting in the field next to the property and a postcard of Bod Gwynedd complete with its B&B sign dated 1901! The building has undergone substantial improvements in recent years including new sash double glazed windows, a 300 litre Heat Store water tank with new plumbing to ensure powerful showers, comfortable beds, A+ rated lighting, A+ 24 inch Smart TVs and highspeed broadband. 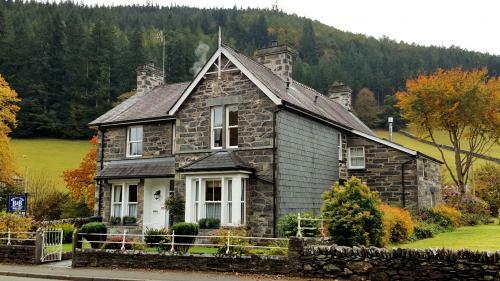 Bod Gwynedd is situated 2 minutes drive or 10 minutes walk from the centre of Betws-y-Coed, opposite the Afon Llugwy (River Llugwy) and with tree lined hills to the front and rear. We are 20 minutes from Snowdon by car with an hourly bus service to Llanberis and other major set-off points stopping outside. Less than 1/2 mile up the road is the wooden Miners Bridge which crosses the Llugwy allowing for a scenic walk back along the river into Betws-y-Coed. For the slightly more energetic the beautiful Swallow Falls is just 1.4 miles (2Km) up the road (see our Facebook page for footage) whilst Llandudno, Conwy, Zipworld, Surf Snowdonia and the beauties of Snowdonia are all within easy reach of Bod Gwynedd. 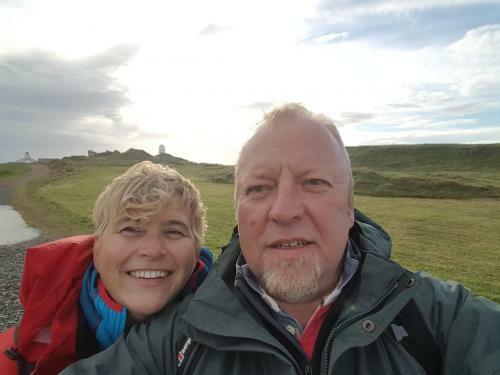 Our approach to running a B&B is simple, to create and maintain somewhere we would love to stay ourselves. All our rooms have comfortable beds, powerful showers, an Internet connected TV and modern facilities. We serve an extensive range of breakfast options including health, dietary and allergy preferences. We look forward to welciming you to our home and helping you get the most from your holiday.